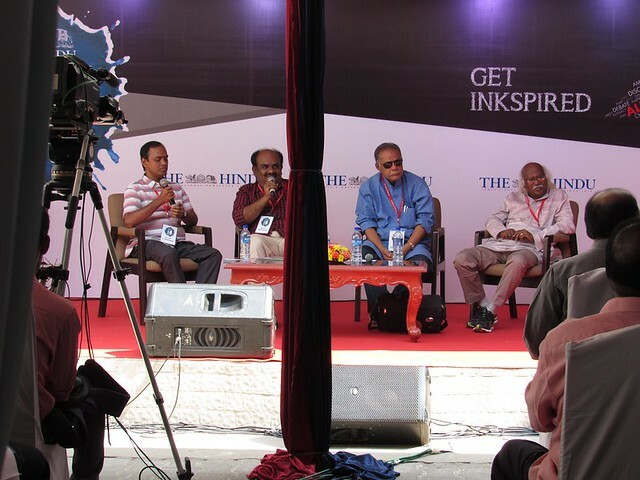 Aham Puram was a discussion session on city vs. village life at the recent Hindu Lit for Life event at Chennai. It was spearheaded by four Tamil novelists and authors. It doesn’t matter. Both have their own problems and pleasures. It’s personal preferences and background that determines where one wants to live, and ends up living in. Location doesn’t determine happiness or unhappiness by itself. If you think you’d be happier in a city, go ahead and live in a city. Otherwise, live in a village. But don’t judge others to he happy/lucky based on where they live. It’s too much of a generalization. PS: Let me know your views on living in a city vs. living in villages in the comments section below. I have no idea what it is like to live in a village. I have never even been to one 🙂 So city it is for me. I have also not lived in a village, but it’s not that difficult to come to a conclusion 🙂 But whatever works for you should be fine.